Optic Gallery Sahara provides the highest level of clinical vision care and the highest quality eyecare products in a sincere, compassionate, and caring manner to you and your family. Dr. Cheung was born in Hong Kong and raised in Las Vegas. She attended Bishop Gorman High School and then the University of San Diego where she received her Bachelor’s degree in Biology with a minor in Chemistry. In 2010, Dr. Cheung earned her Doctorate degree from the Southern California College of Optometry. To further her training and clinical skills, Dr. Cheung completed a post-graduate residency program in ocular disease, refractive and ocular surgery at Eye Care Associates of Nevada. While there, she gained extensive experience managing patients who had undergone LASIK, cataract, glaucoma, and other ocular surgeries. Outside of work, Dr. Cheung enjoys outdoor activities with her husband. They love to go hiking, camping, and snowboarding. She is also an avid crossfitter, yogi, and a cat lover. 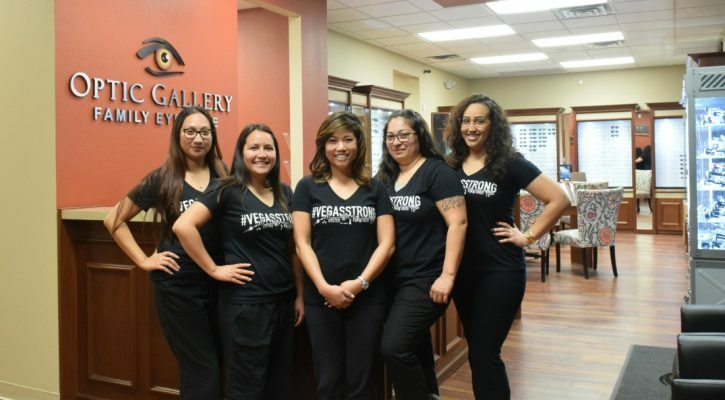 Dr. Cheung practices at the Optic Gallery Sahara/Decatur location at 2580 S Decatur Blvd, Ste 6, Las Vegas, NV 89102 702-876-2020.